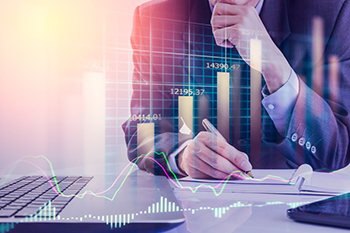 Trading in the share markets is not as tough as it sounds, but there are several significant aspects that you need to get acquainted with or consider before investing anywhere. The stock markets are ever-dynamic and unpredictable, i.e. to the untrained eye. However, trading in the share markets is not as tough as it sounds, but there are several significant aspects that you need to get acquainted with or consider before investing anywhere. You should be prepared to grab the opportunities that come with the changes in market trends. When you consider stock trading, you must be familiar with the workings of the share market, and be aware of vital concepts. The more you know about the share market, the better it is for you. You might have read many updates on the ups and downs of the stock market. You should be persistent and disciplined, i.e. your ‘buys’ and ‘sells’ should be based on research and not speculation. Follow a disciplined investment approach and success will meet you halfway. History has been witness to great bull runs that showed bouts of panic. In 2016, ace investor Rakesh Jhunjhunwala lost Rs1,480cr in just 16 days. There are many such examples in the market, such as Chandrakant Sampat, Raamdeo Agrawal, Parag Parikh, and Ramesh Damani, among other, who show that the volatility in the markets has unavoidably made investors lose their money if not careful. Investors who put their money in shares after proper research and show patience have realized exceptional earnings from the market. Therefore, it is advisable to be perseverant and disciplined. As Chandrakant Sampat has said, "To be a good investor, all one has to do is dream." To guard yourself against a share market decline, you must diversify your stocks. Diversification means not keeping all of your money in one basket, especially when investing in stocks or equities. In simple words, all of your stocks shouldn't be from the same sector. You must diversify your stocks to different areas such as tech, finance, automobile, agriculture, aviation, etc. This way, sectoral corrections would not affect your overall portfolio at the same time. It is impossible to avoid risk completely, but you control the amount of risk that you take. Every investment comes with a certain degree of peril. Older investors might see risk as a foe since too much risk can annihilate their retirement plans. Numerous experienced senior citizens have faced a significant loss to their superannuation portfolios through the economic downturn. Portfolio diversification can help them save money to an extent. Diversification makes it much easier for an investor to guard his/her wealth by assigning cash to different investments.